THE RS-X TROPHIES CELEBRATES THE EXTREME REINVENTION OF FAME IN THE ERA OF SOCIAL MEDIA AND REALITY TELEVISION. 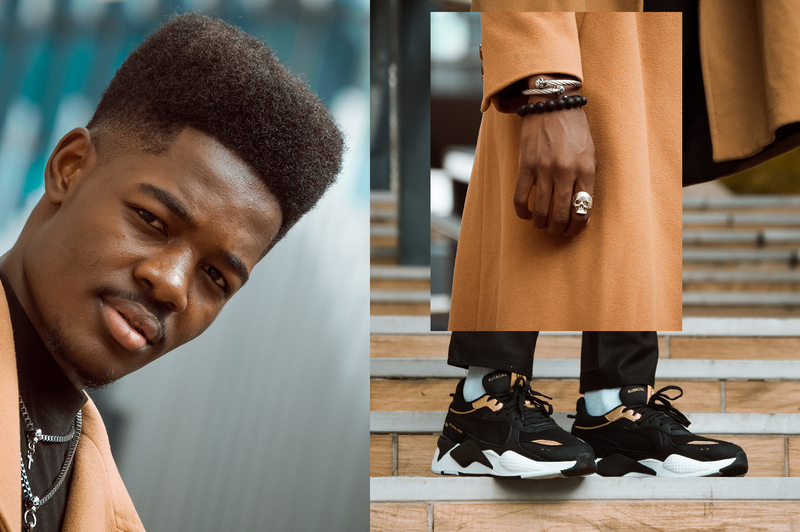 PUMA relaunched its ‘80s RS technology earlier last year with the RS-0 series, and to take the brand’s Future Retro range, PUMA later launched the RS-X line paying homage to its archive. Kickstarted by the RS-X reinvention, and RS-X Toys as well as the Hot Wheels collab, now PUMA continues to expand the range with the upcoming release dubbed ‘RS-X Trophies’. 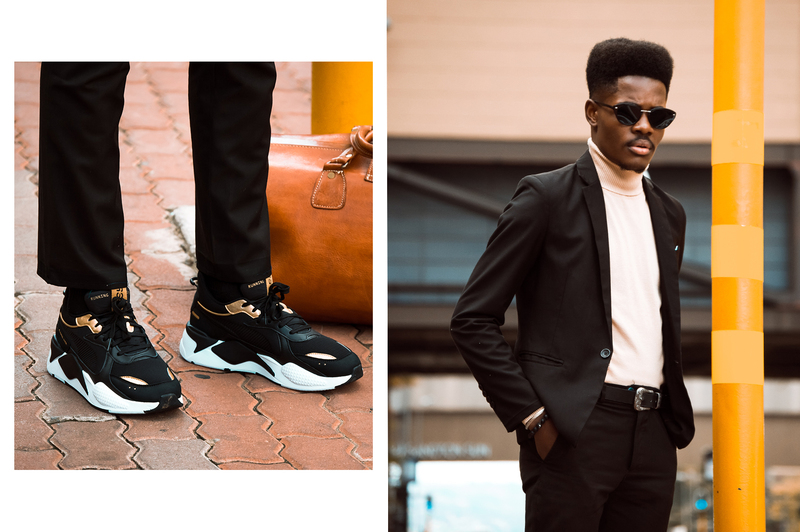 For another edition of our ongoing editorial series exploring footwear and fashion’s best matchups, we present you the #YMZStyleBase: PUMA RS-X ‘Trophies’. 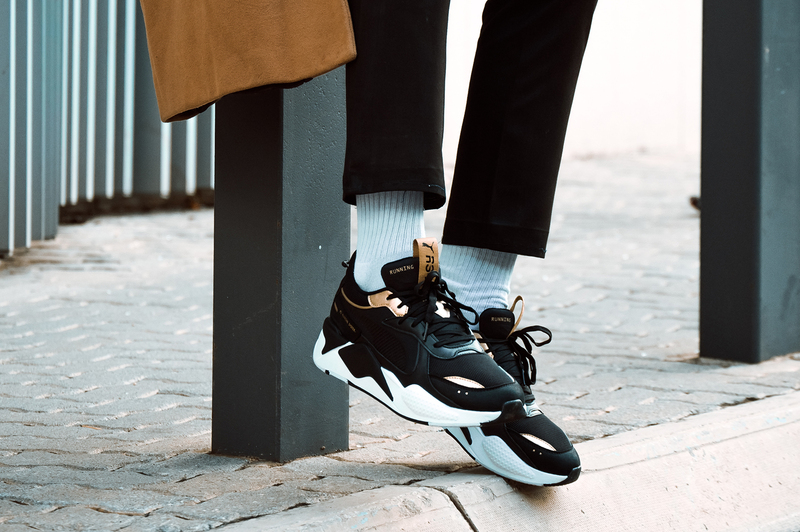 We continue to explore different ways of styling the chunky silhouettes, in this case, the PUMA RS-X Trophies, which carries the bulky design, adding to the dad-shoe trend. 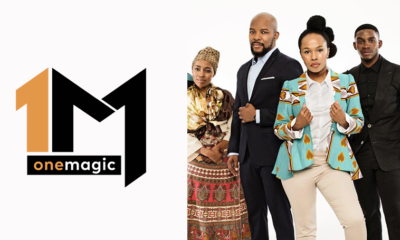 We have picked both below outfits, combined the colours and additional accessories well, so to represent a bold look and stand out from the rest. 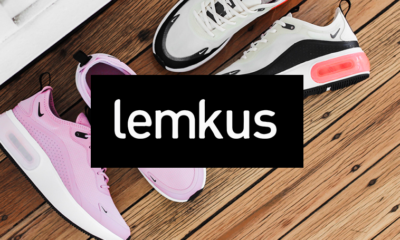 With such a winsome sneaker, both outfits make an eye-pleasing fashion statement. 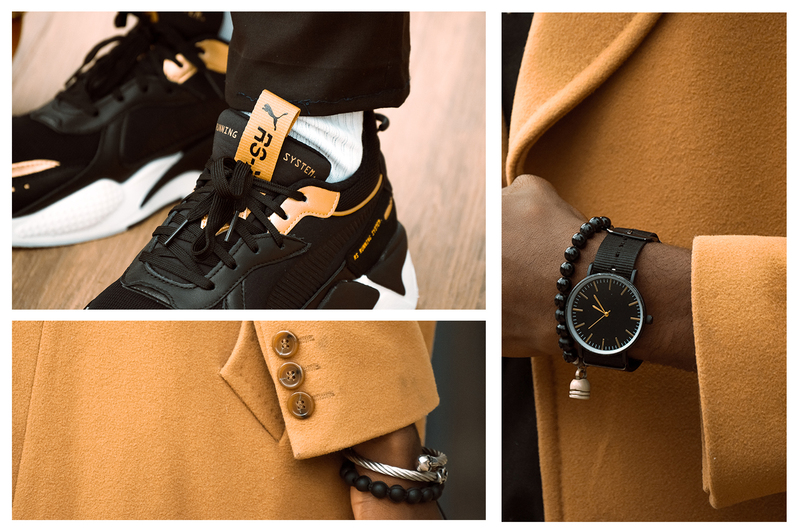 For the first outfit to go with the PUMA RS-X Trophies, we put together a few pieces including a black tee, complemented by black pants and to add some extra sauce we included the Overcoat which stands out nicely in that Beige colour. 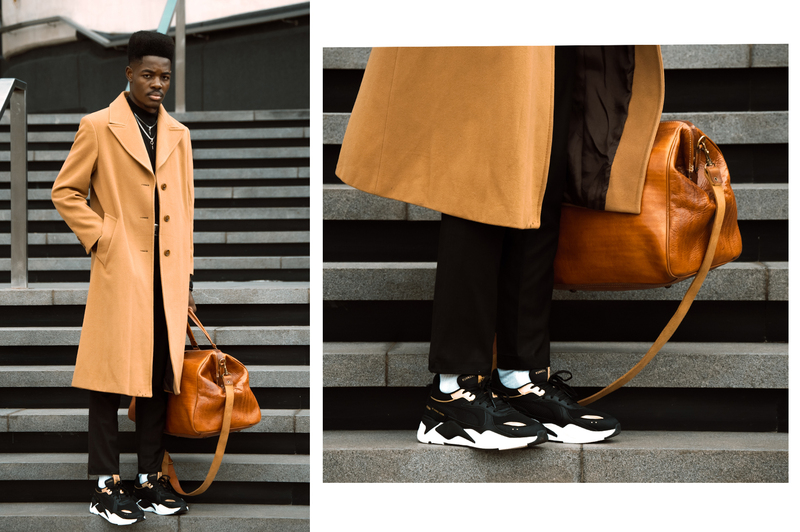 The colour combination around this fit is based on the overall shoe design. 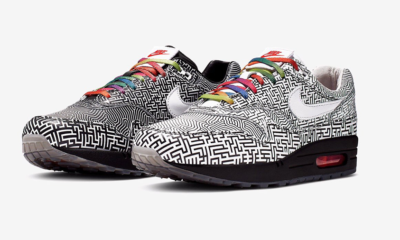 The shoe is built with RS technology on the midsole, the bulky silhouette with mesh and textile upper is stylishly decked with leather overlays. 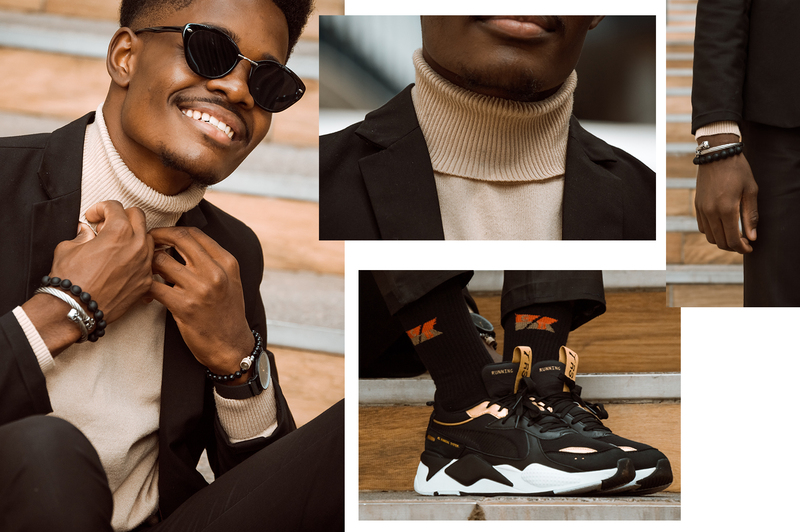 Elevating the look with gold accents along the quarter panels, the sneakers in PUMA Black – PUMA Team Gold colourway are embossed with a textile heel piece and moulded sockliner with specific RS branding. Completing the look with tonal laces, the sneakers are placed atop rubber outsole with a lightweight midsole. 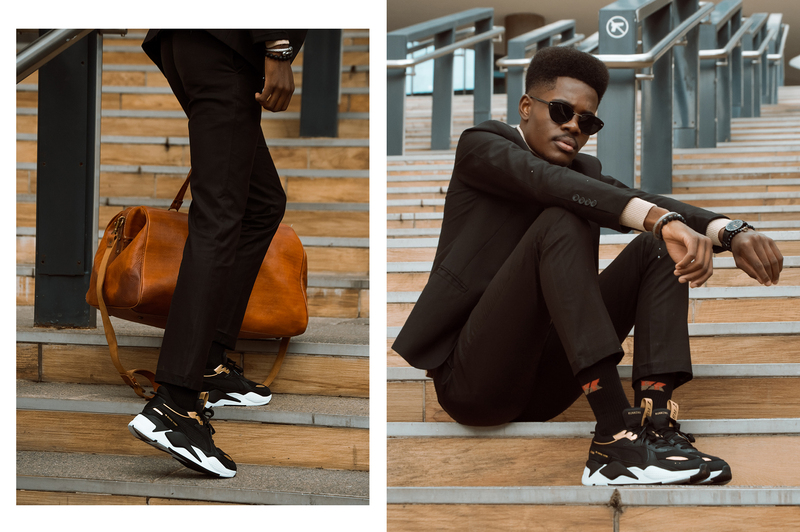 Suit-with-sneakers is a big deal for us, and it’s a trend that has long existed and our second fit represents exactly that. 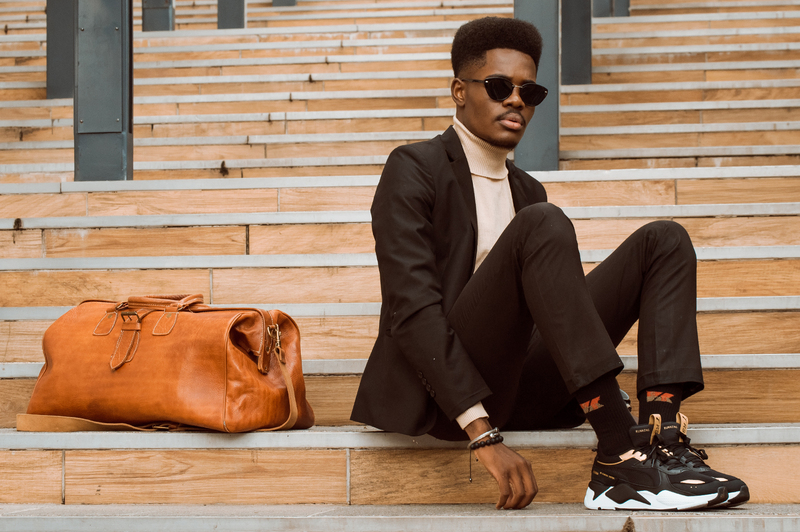 A combination of black pants with a slim fit suit jacket and maybe inside you can throw-in a polo neck or a shirt to maintain the formal look. SIZING RECOMMENDATION: For sizing, we’d suggest you go True to Size. 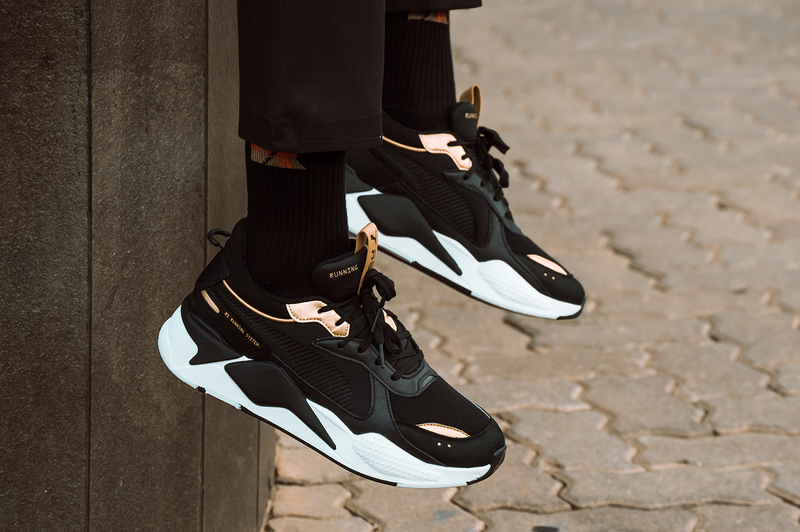 For those looking to pick up a pair, the PUMA RS-X Trophies drops on Friday, 01 February 2019 at PUMA stores, Jack Lemkus, Sportscene, X-Trend, Side Step and Superbalist. 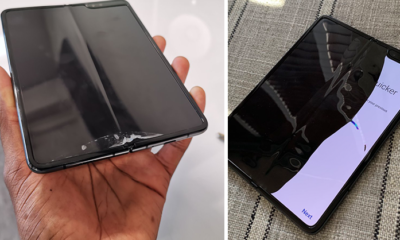 The retail price is set at R1999.